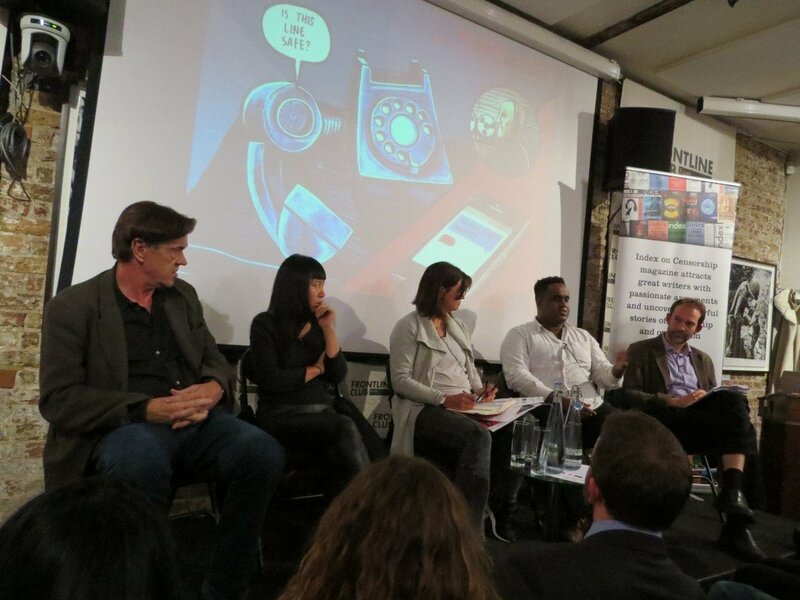 On Wednesday 14 October a packed audience convened at the Frontline Club, eager to discuss worldwide censorship and the extent to which technology has increased the scope of surveillance. The event, titled Spies, Lies and Secrets, was held in collaboration with Index on Censorship – the international organisation that promotes and defends the right to free expression worldwide – to coincide with the release of their latest quarterly magazine. The distinguished panel included award-winning British investigative journalist and author Stephen Grey, whose recent book The New Spymasters looks at spying in the digital age and how it has evolved since the Cold War; Xialou Guo, fiction writer, filmmaker, political activist, and an outspoken critic of communist oppression in China; associate editor of the Observer Robert McCrum; and freelance journalist and associate editor at Warscapes Ismail Einashe. Index on Censorship magazine editor Rachael Jolley chaired the event. Robert McCrum responded to a question about censorship during the Cold War and in the present day: “The difference is that in those days it was simple, you knew who the enemy was and you knew what the enemy did. The big change now is this extraordinary explosion of global consciousness. The discussion moved onto the question of the internet and the impact it has had on freedom of expression and censorship.